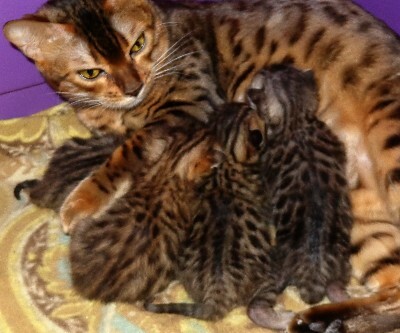 This litter of Bengal Kittens was born on February Fifth of 2013 to KotyKatz Echo & Bengalglitz Lollipop. Check back often to see more pictures as they grow! One Fast Cat Exercise Wheel. This entry was posted in Bengal Kitten Gallery, Gallery and tagged Bengal, bengal kittens, Brown. Bookmark the permalink.